The traditional choice of two filling types for your three seat futon sofa bed, the Ultra for regular use or the DeLuxe for everyday sitting and sleeping. Both available in a choice of sizes. The ever popular 'Bi-Fold' style futon mattress is designed for use on three seat futon sofa bed frames, it works well on both wood and metal style frames with slatted or mesh type seat and back platforms; pretty much all varieties of three seat futons! This futon mattress is designed to be folded along the length to enable easy conversion from a sofa to a bed and back again, if you're replacing an existing futon mattress feel free to check with us if you are unsure of size and type. 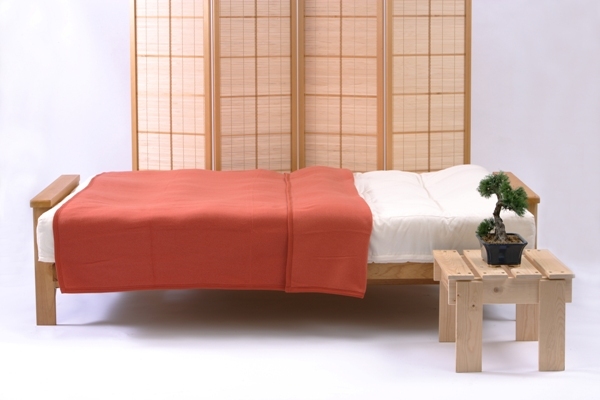 We offer two options on our 'bi-fold' futon mattresses; the Ultra - designed for regular use and hand made using layers of lambswool top and bottom, three layers of woolfelt and two central layers of rebound polyester. 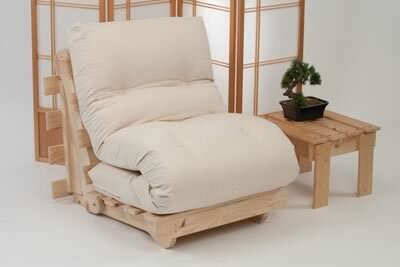 Alternatively choose the DeLuxe - designed for everyday use for sitting and / or sleeping, hand made in the same fashion as the Ultra but with a layer of high density Reflex Foam replacing one of the polyester layers for added durability. Most three seat futon sofa beds take the 137 x 190 cm size futon mattress, if you are unsure then open your futon sofa bed into the 'bed' position and measure the size of the sleeping area - or call us and ask our advice! 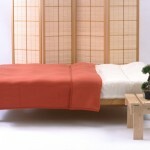 All our futon mattresses are hand made down here in Devon using good quality, carefully selected fabrics and fillings. Choose from the Ultra for regular use or the everyday sitting and sleeping DeLuxe. 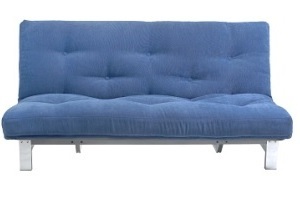 The futon is upholstered in a hard wearing 100% cotton drill fabric in a choice of colours. Optional loose covers can be purchased for easy care and cleaning. Our bi-fold futon mattresses nice and thick at around 16 cm deep. Dual purpose where both seating and sleeping are equally important. 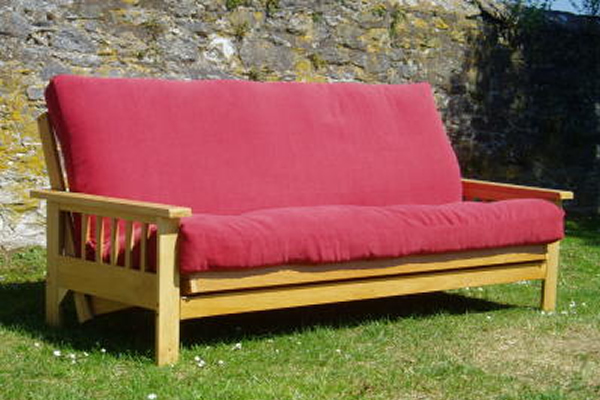 Ideal for use on 3 seater, 'bench' style, hardwood, pine or metal futon frames. Also suitable for use on wood slatted bed frames. Both futons are in stock for a quick delivery. (Delivery Mainland UK £Free).